Cook up gourmet stories with Barbie® doll and the ultimate kitchen playset! 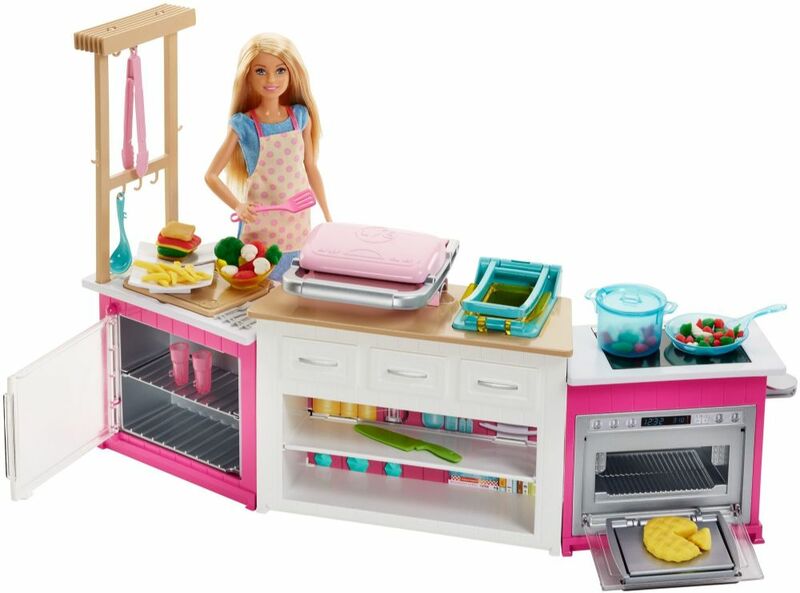 The set includes a amazing Barbie® chef doll, kitchen counter, appliances, cooking and dining utensils, and five different colours of dough to make food items for all your friends. Lift up the cutting board to reveal vegetable molds -- fill with dough; press down and lift up to reveal veggies that Barbie® doll can slice and dice with her knife when she is cooking!